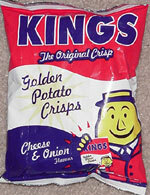 Taste test: Chicago bureau chief Kim Nash reports: Imported from Dublin, Tayto's Cheese & Onion Flavour "Golden Potato Crisps" were more onion than cheese. After eating my 35 grams of crisps, I felt like I'd bitten into a bouquet of scallions. Pungent! Yet there was no discernible cheese flavor (we shlocky Americans omit the "u"). That’s a problem, because a muncher expects cheese if the label promises such, am I right? What made up for it, though, was the fact that these crisps were salted to perfection. Important to note, at least in Tayto's opinion (as the company proclaims it on the package) is that these chips are "suitable for vegetarians." No meat in these crisps. I liked the little yellow potato man, dressed in a red suit, on the label. He told me that Taytos are "Ireland's biggest, Ireland’s best." I don't know about biggest, as mine were largely smashed, presumably during the long trek from Dublin. At two bags for $1, a good snacking investment. Smell test: Smells a lot like Tato Skins. Smells potato-y. From the package: “STORAGE: To keep these crisps in perfect condition, you should keep them cool, dry and away from bright light and strong flavours.” ... The front of the bag features the Kings mascot (sporting a derby and tie) holding the bag of chips with him on it. He kinda looks like a potato. 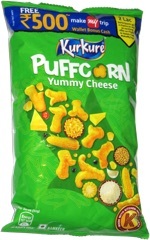 This snack was discovered by Melissa at Irish Village Motel, Yarmouth, Massachusetts.